Apollo Bay is a coastal town in southwestern Victoria, Australia. Get in touch with nature at Port Campbell National Park and Great Ocean Walk. Explore Apollo Bay's surroundings by going to Otway Fly Treetop Adventures (in Weeaproinah), Twelve Apostles (in Princetown) and Loch Ard Gorge (in Port Campbell). The adventure continues: take a peaceful walk through Mait's Rest, get great views at Mariners Lookout, and don't miss a visit to Cape Otway Lightstation. 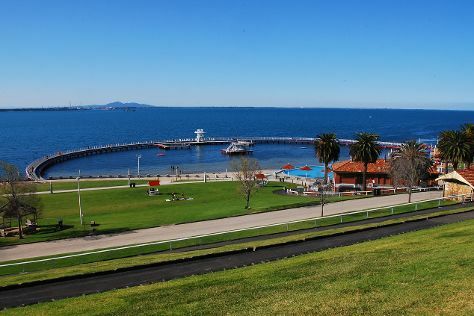 To find photos, other places to visit, more things to do, and tourist information, use the Apollo Bay trip itinerary maker tool . Melbourne to Apollo Bay is an approximately 3-hour car ride. You can also do a combination of train and bus; or take a bus. Finish your sightseeing early on the 9th (Sun) so you can drive to Lorne. Lorne is a seaside town on Louttit Bay in Victoria, Australia. Step out of the city life by going to Eastern Beach Reserve and Lorne Beach. Get a sense of the local culture at Split Point Lighthouse and National Wool Museum. You'll find plenty of places to visit near Lorne: Geelong Gallery (in Geelong) and The Great Ocean Road (in Torquay). 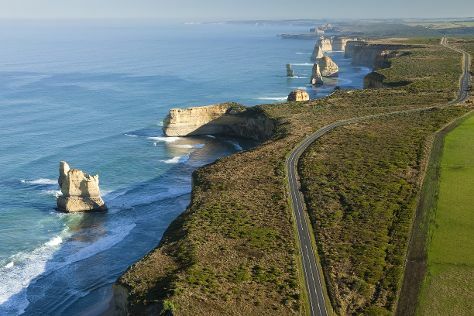 There's still lots to do: take an in-depth tour of Great Ocean Road Story. Discover how to plan a Lorne trip in just a few steps with Inspirock's itinerary builder. Drive from Apollo Bay to Lorne in an hour. Alternatively, you can take a bus. In December, daily temperatures in Lorne can reach 29°C, while at night they dip to 13°C. Finish your sightseeing early on the 12th (Wed) so you can drive back home.